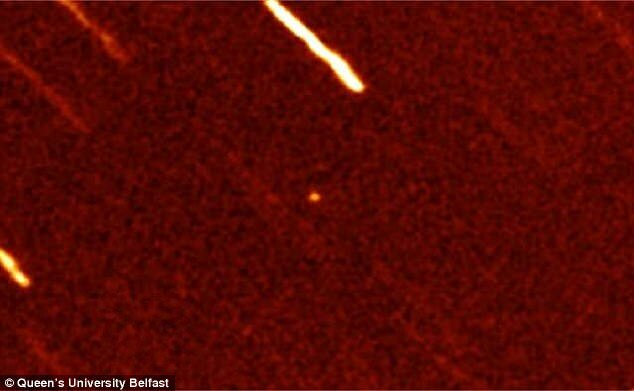 Last week, a mysterious object whizzed past Earth, which scientists suspected was the first 'alien comet' to visit us from another solar system. Now, researchers have revealed stunning images of the comet in action, and information on its possible chemical composition. The image 'sends a shiver down the spine,' according to scientists studying it. 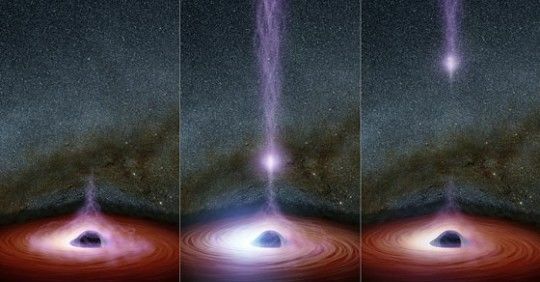 Their findings suggest that it is a small rocky or icy object that may have been drifting through our galaxy for millions or even billions of years, before entering our solar system by chance. Researchers from Queen's University Belfast have been studying the mysterious comet, called C/2017 U1, using powerful telescopes across the world. While most comets follow ellipse-shaped orbits around the sun, this comet appears to orbit at an angle, and doesn't circle the sun. Its orbital path suggests it entered our solar system from the direction of the constellation Lyra, looped around the sun, and will never return. Initial findings suggest that the comet is a small rocky or icy object that may have been drifting through our galaxy for millions or even billions of years, before entering our solar system by chance. 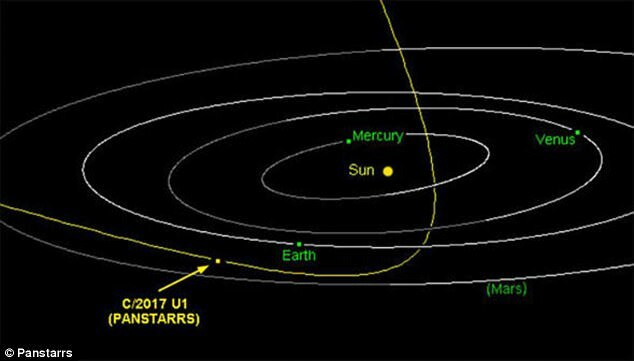 The object flew into the solar system from above, was close to the sun last month, and is now already on its way back out to the stars, according to the researchers. 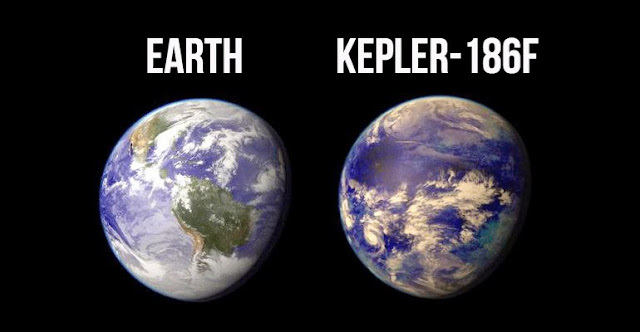 Astronomers believe it was probably thrown out of another star system during a period of planet formation. Despite suspecting such objects existed and looking out for them over past decades, scientists have never seen such an interstellar visitor until now. 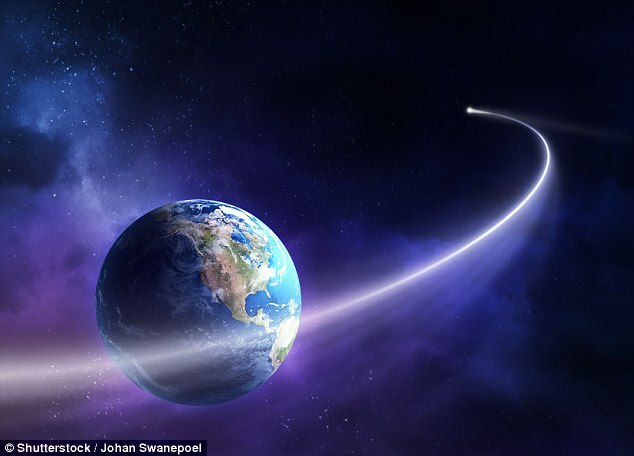 The researchers highlight that more information is needed to pin down the exact details of where the visitor came from, but hope that further studies will reveal more about the mysterious comet. But not everyone is convinced that the comet comes from another solar system.